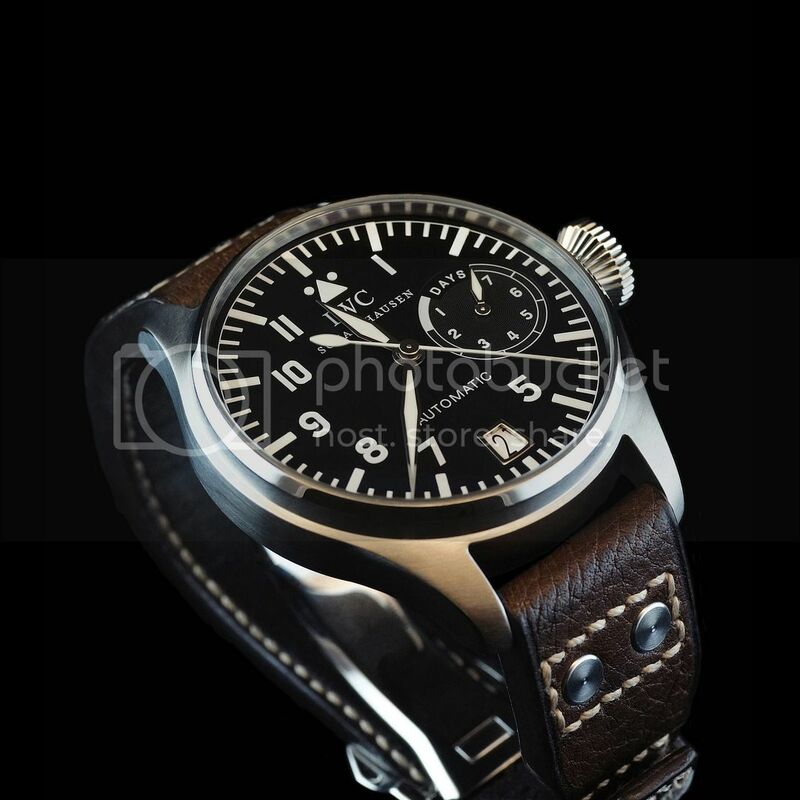 No, this isn't one of the new 2012 Pilot Watches... I finally picked up a slow beat, fish crown, BP 5002 to add to my collection. In April 2005, I saw my first BP 5002 at an AD at the Grand Opening of the Wynn Casino and Hotel in Las Vegas and I was fascinated by the watch but I couldn't quite pull the trigger. In May 2005, I decided I needed to get more information about IWC and the Big Pilot so I joined the official IWC Forum and started lurking in the TZ IWC Forum since I was already on TZ. After that, I had two more in-hand chances at different ADs to pick up the slow beat and the subsequent high beat (transitional) BP 5002s but I still couldn't pull the trigger. 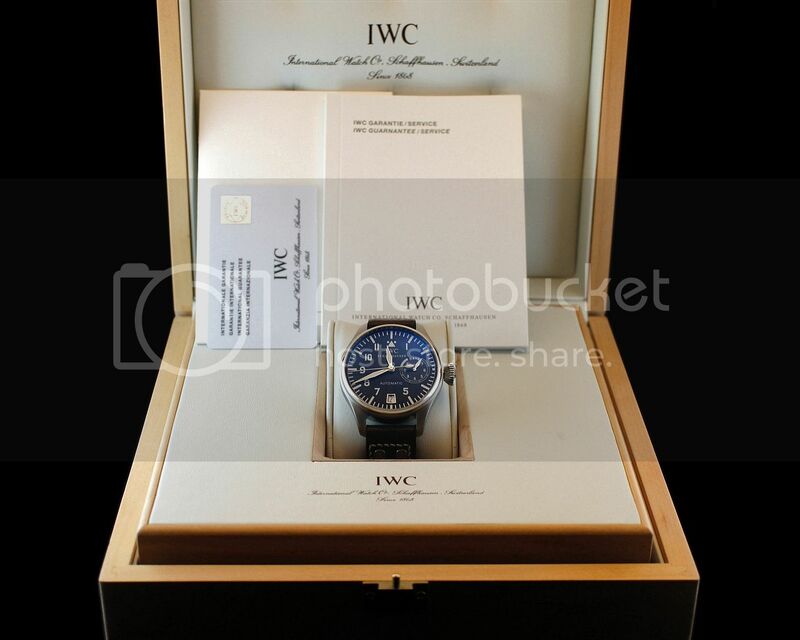 In June of 2006, I went to the grand re-opening of the AD in Honolulu and Errol Phippen from IWC brought the first BP 5004 to be sold in North America for the IWC event. I bought it on the spot! Since then, I've had to endure years of comments about the "missing 9" on the BP 5004 dial, etc., etc. but now I finally own a BP 5002 like everyone else. I still prefer Guy Bove's BP 5004 redesign of the classic B-Uhr dial (the BP 5004 wears larger too) but the BP 5002 is truly a classic and a great addition to my Big Pilot collection. Previous Topic: sapphire crystal back for 5002?? ?